The Naoshima Project started on my trip to Naoshima, an art island with extensive contemporary art collections in Japan. 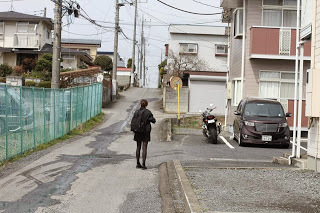 However, I found it was hard to navigate around the island for foreigners , and there was the lack of detailed information for most of the outdoor art collections. Therefore, this inspired me to design a mobile app for foreigners to access the island easily and allow them to collect artwork’s information for creating wonderful memories. Naoshima has gathered global attention as a center of contemporary art island. However, only almost 30,000 tourists now visit this island from Japan and abroad every year. Compare to other countries; Naoshima doesn't have enough impact on tourism. So what the problem is? 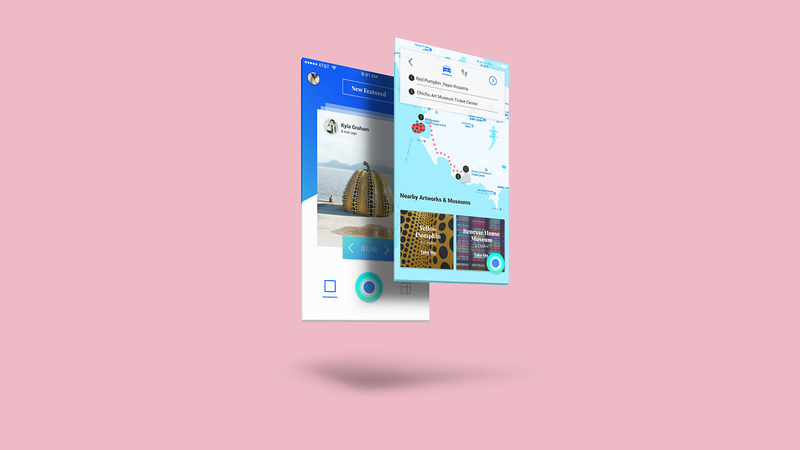 My solution is to design a mobile app for the foreigners to be able to access around the island effortlessly and have deeper understanding of the artworks/artist information when they spot art collections across the island. By using AR technology to overlay the new information and voice assistant to guide travelers to navigate themselves around the island. Lastly, by integrating social media featuere in sharing photos, it helps to promote higher publicity for Naoshima. 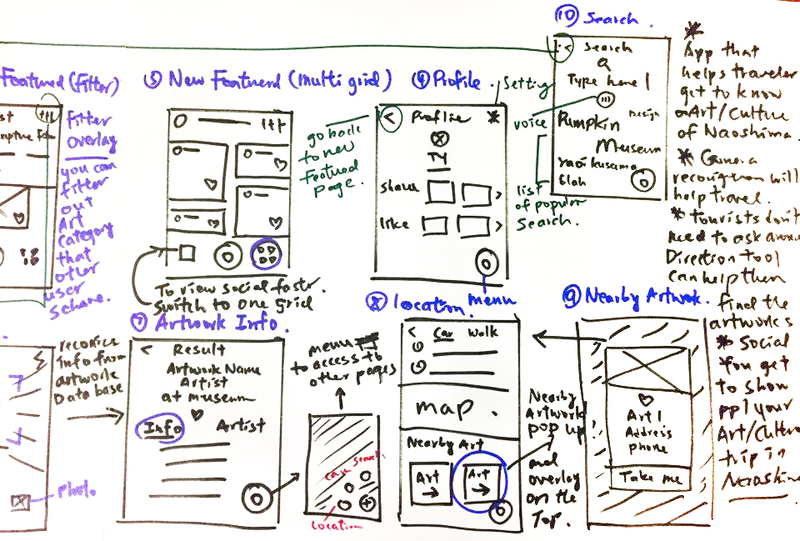 After having a better roadmap for my product, I put my thoughts into the wireframes. 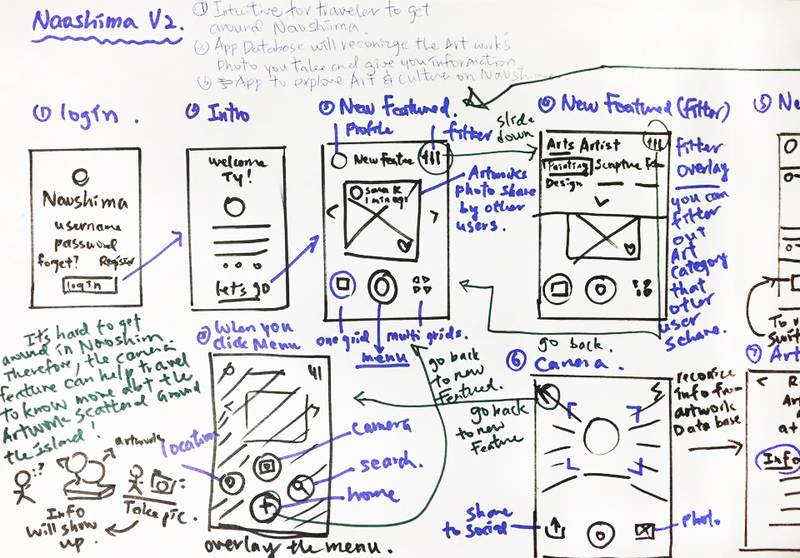 By visualizing different ideas, I was able to implement initial ideas to better solutions. The design of the menu button was very intuitive and seamless. It stayed on every screens so users can switch functions by just a tap. The user, a foreign traveler in this context, should easily find detailed artwork's information by taking photos of an actual object. 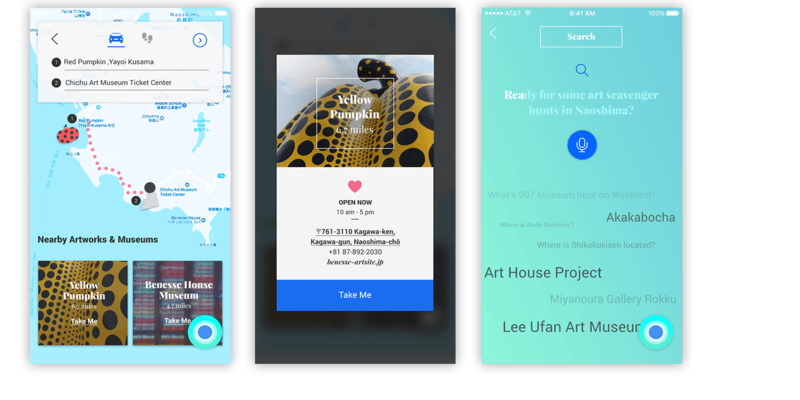 Seamlessly switching through the navigation and effortlessly get to the museum’s location without asking others. 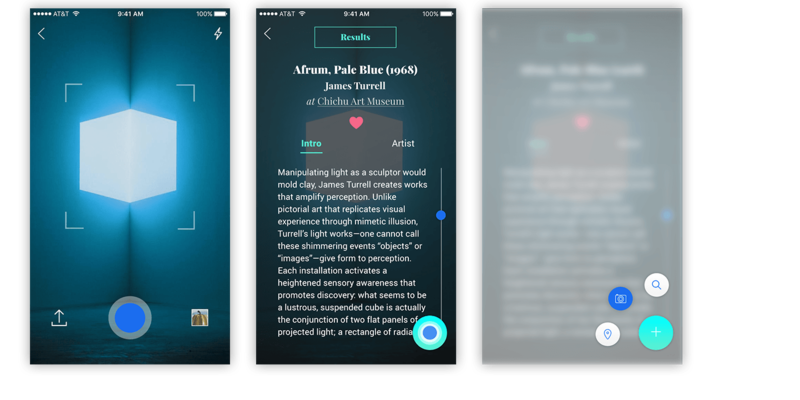 Lastly, voice assistance allows a traveler to search any art related information. 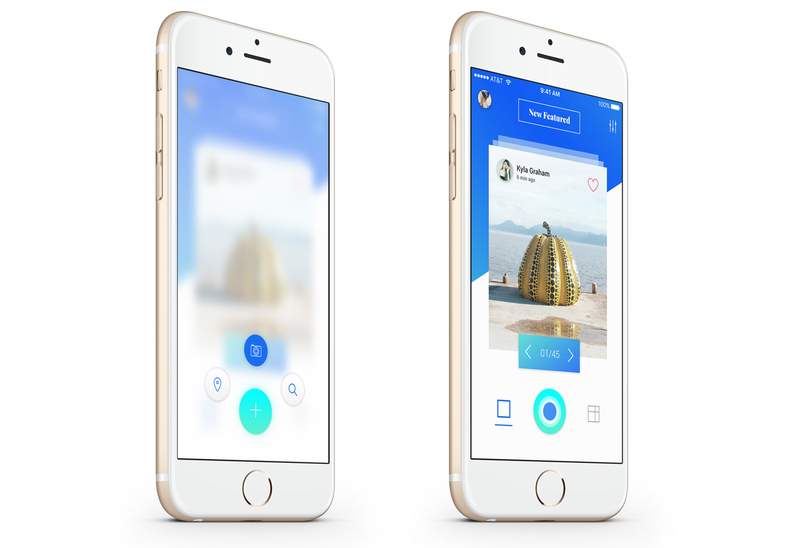 As this can happen in any random order, the app’s flow has to be user-friendly, so there are no gaps between users and the product. Foreigner travelers can easily find detail information by photo capturing actual artworks. Travelers also could share their amazing photos on the platform. Seamless navigation experience allows travelers to quickly switching thru the functions. 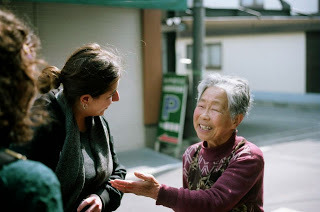 Touring arts and cultures in Naoshima become easy and efficient. It's an interactive prototype. Have fun!